A celebration of sleek lines and graceful curves, the Carla Chair will introduce a modern, artistic element into your space. The unique, body-hugging design will cradle you with comfort and support. 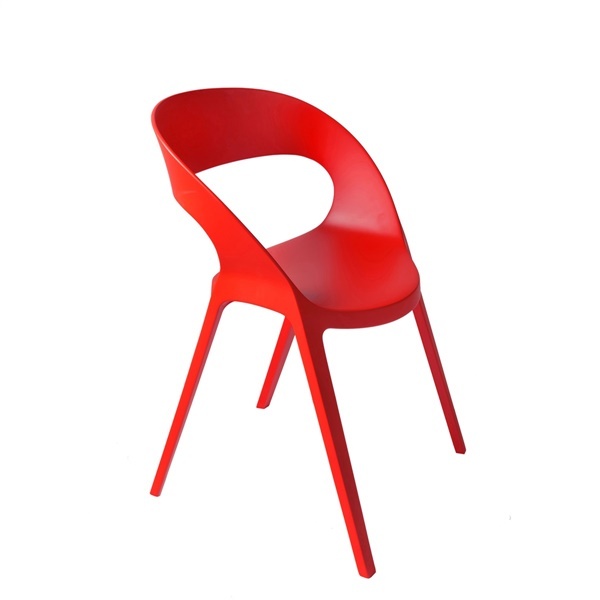 Designed by Fabrizio Batoni to be the ultimate in contemporary seating, this chair is functional as it is stylish. Intended for both commercial and residential, indoor and outdoor spaces, this armless chair is available in your choice of color.